iDelete is a photo sharing app made by the a company with the same name. This app is another Snapchat and Facebook Poke clone. This app allows a user to take a photo from inside the app, then send that photo to another iDelete user. When the message is received, the viewer has a pre determined amount of time to view the picture. From 3-10 seconds. After the allotted time, the picture then deletes itself. The difference from Snapchat though is how iDelete states the way the picture is store for those few seconds, does not allow a person the take a screen shot of the image to save it. I gave this app a very high threat level due to kids utilizing apps similar to this for sexting or sending pictures they do not want to get caught sending. 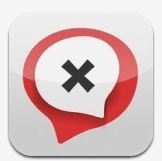 Pinger is a proprietary, cross-platform texting and calling application for smartphones. In addition to SMS, users can call a number to leave an audio recording, similar to WeChat. Users can communicate with others who do not use Pinger via texting and calling. Calls are free within US and Canada, while texting is free in 35 countries. New accounts receive a new phone number and 10 free minutes. You can add more minutes for talking as you wish, but it does cost. Similar to a calling card. Pinger is one of the founding text and voice apps for mobile devices. Remember a lot of parents think because their child doesn’t have a phone with a data account then they can’t talk or text. That is wrong! This app uses your wifi or high speed Internet services and assigns you a number for free! Glide is the world’s first instant video messaging platform, combining the personality of video chat with the convenience of texting. This app works as a video message for Facebook user accounts. At the moment, you have to utilize your Facebook account to start your Glide app. They are in the process of setting up the app for email, Facebook or Twitter. So what does this app do? This App allows you to broadcast video messages to friends instantly. If they’re available you can chat in realtime – if not they can respond later after your video message. This app key points hit on One tap broadcasting live video, No upload needed to send or receive messages, due to the app streaming your messages to Glides Cloud server, and also allows video chat with Groups of people. One other feature I saw with this app is how you can text with the live Video Feed active at the same time. This requires the bandwidth, but on the back side is programmed to handle on Wifi Or Cellular. I Rated this app a High Threat Level for 2 reasons. One it ties to your Facebook account. If you are not monitoring all the friends your child has (you should start) then they now have a free easy app to flip to for text and Video chat. Secondly, this is a video conferencing application, and as with any video conferencing, it puts your child in front of others in a possible un safe environment. 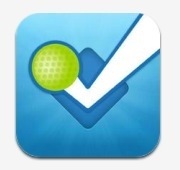 If you see this app on your child’s device, be sure to ask who they are conferencing with and see their friends list. Since it ties to Facebook at the moment, that means they have to utilize Facebook. Check their Facebook friends to see who they could be video conferencing with. 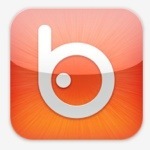 Badoo is a dating social discovery website, founded in 2006. Similar to matchmaker or other dating services, it is managed out of its Soho, London. Opinions of Badoo.com on TrustPilot, which are based on user reviews, rather than press releases, rate the site as ‘Very low’, with a current score of 1.3 out of 10 (as of 20 March 2013). Complaints included fake profiles, and spamming of email accounts of signed-up users. In a peer-reviewed study conducted and published by Cambridge University in 2009, it was given the lowest score for privacy among others. The site claims to operate in 180 countries and is most popular in Latin America, Spain, Italy and France. Badoo ranks as the 51st most popular site in Brazil and the 136th globally, according to Alexa Internet, a decline of 19 places since 2010. In December 2012, Badoo.com is ranked as the 59th most visited website according to Google, based on Google AdPlanner statistics. This app should not be on your child’s device. This app is dedicated to the single adult world of online dating. Profiles are related for others to match on interests. Once matched, the app gives you opportunities to get to know the other party better. This app got a high threat level due to its dating content. They do monitor sexual related posts, comments and photos, but this app is for adult singles only! I am usually posting app reviews along with safety pertaining to mobile devices, but to educate yourself on your child’s website history is just as important as monitoring their phones or mobile devices. Don’t neglect to keep tabs on your home PC, and your child’s mobile devices Internet browser history. We all know the importance of CyberBullying and how to watch for the signs in our children Everyone always fears the time when your child becomes the target for CyberBullying. But there has to be a bully somewhere. I have been involved in conversation with parents, family and friends about the growing topic of Cyber bullying. I must admit, that often I have thought in the back of my mind … I hope my child never falls victim to the horrors of cyber bullying. I have never thought of it from the other side. What if after all the time of making sure my child did the right thing, what if they made one mistake and hurt someones online reputation. For this thought alone, I wanted to review a website that I feel is just as dangerous as a lot of other sites with explicit material. The site is called Lemmetweetthatforyou.com The basics of this site which is very non graphic and straight to the point, is that it allows the user to make a false tweet. The tweet will appear that it came from whomever the person wants. People will see the profile picture and whatever they want to say. Children are using this to be “funny” and tweet juvenile things about others, but sometimes it could be to much. At the moment, this is a website and not on the mobile platform. I am hoping that Twitter can do something about this to keep it from going to public and catching on. The good news is, these tweets do not show as a tweet in your history. This is for pure Screenshot only, and can be tracked down to who made the fake tweet picture. Forensically this can be controlled and found out who did it, but for a child sometimes just one derogatory comment or something cruel is posted, that is enough. If you do find this website in your history, please ask your children what they are doing with it, and educate them on the power of posting something that is not true, making it look like something else. I gave this a very High Threat level, due to this being a site that encourages people to make posts that are not real. Foursquare is a location based social networking website for mobile devices. They have an app on all the mobile operating systems. Users create an account then “Check in” at restaurants, events, or wherever they are to earn points. Location is based on the GPS hardware that is inside the mobile device itself, whether that be a phone or tablet. The user invites friends to follow them as in most social networking sites, to view where their friends are checking in and what they are doing at the time. When you check in, you can attach a picture, a tip or any comment you would like. At that point, you can select if you would like your picture, tip or comment public or private. The private setting only allows your friends that you have approved to be able to read what you said about the check in. If you wish to leave that open to public view, then anyone that is a foursquare member will be able to view. Some people will leave Tips open to the public for anyone to see. For example, if you are checking in at a local restaurant that offers a special on Tuesdays, you may want to let everyone know that. If it is a tip you want to leave for friends only, you may get more personal. I have read good tips and bad tips, but people are utilizing the social networking aspect to let others know about the establishment. As I stated in the first part of this review, you earn points for checkins to compete against your friends. You get bonus points for certain things. Such as, checking in with others, checking in when other people are there or even for sharing a Photo. If you check in more at one location than anyone else and are consistent with your checkins, then you can become “Mayor”. If you hear your children talking about being the Mayor of a location, or knowing someone that is a Mayor, they are probably talking about Foursquare. Businesses are utilizing Foursquare as a marketing tool. If you start to look around as you walk into businesses (restaurants particularly) you will start to see the Foursquare logo, or Check in Here in the same colors as the Foursquare app. This usually means, they offer a discount or special price on certain items, if you check in on foursquare. Foursquare concept started in 2009 with a company called Dodgeball and Google Latitude. As of 2011, Foursquare was reporting over 20 million users with over 3 million check ins a day. There is multiple language support for world wide use. Growlr is a Homosexual Social Network app available on all devices. 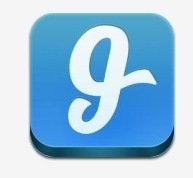 This app is named after its icon being a Bear. So you ask what are they referring to being a bear? That is what some people are calling a masculine gay man. This app has over 1,000,000 members worldwide and allows homosexual men meet other homosexual men. This is an extremely dangerous app and needs to be deleted immediately off your childs phone. This app was designed as an adult only application and not intended for children. This app says there are no explicit pictures on the photos, but just a screen shot pic search you can tell they don’t monitor that to closely. This app has a 17 year older download requirement which is easily bypassed. You can also check in and find other “Bears” around you. Be aware that kids are making horrible mistakes and posting other peoples pictures on this app and site as a way to fake an account to make it appear the other person made it. They refer to this as Growling, or Making you a Bear. They also may refer to other Real life Bear analogies, for example…. Are you Hibernating? Coming out of the Cave? Coming out of hibernation? A terrible way to cyberbully. Sexuality and sexual related issues should be discussed with your children by the parents. Be on the listen for these type statements and protect your children from this adult content. This app is an adult app only and gives you the warning for adult use only when you download. Make sure your children are not bypassing that warning and going to apps without you knowing.